MEDACS is a range of DIN-rail signal conditioners that offer solutions for virtually every application. These DIN-Rail Signal Conditioners include a unique USB interface for super-fast configuration. The MEDACS offer many advanced features such as customised functions to suit specific applications using TFML sofware. 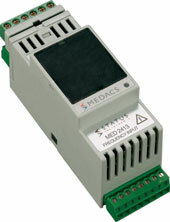 With Modbus RS485 comms as standard, MEDACS can easily be integrated into larger control systems. All prices are ex-works. VAT, if applicable, charged extra at the ruling rate at checkout. Packing and postage charged extra at checkout.